Ever thought of tailgating in luxury? Not in the hot humid sun, but in a luxurious comfy party bus. Our buses brings the party to the UH game day tailgating party. Be not like the rest and try something different with us, because we're different. "Tailgate" in our one-of-a-kind limo buses before the UH Warrior football game. Just going to the football game? 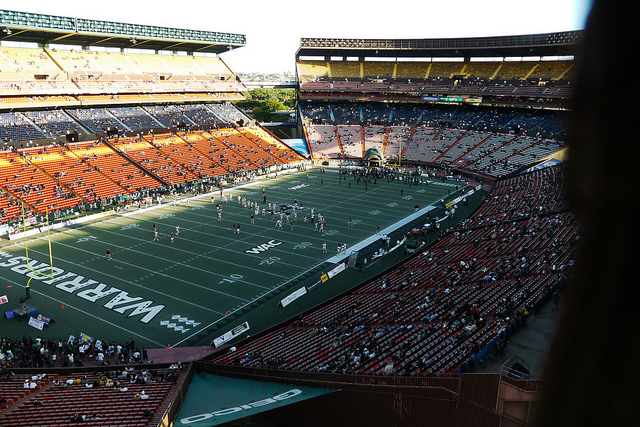 Pre-game with us as we transport you and your crew through that Hawaii traffic, straight to Aloha Stadium hassle free all in luxury. Imagine that, no traffic worry while sitting in luxury. Call us today at (808) 725-3028 to reserve for the games. First come, first served. And GO WARRIORS!